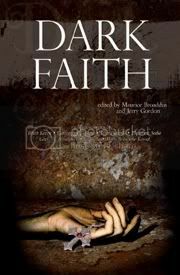 Dark Faith, edited by Maurice Broaddus and Jerry Gordon, is one of the newer anthologies put out by Apex Publications. It features 26 short stories and five poems that attempt to tackle the intricacies of faith. I haven’t read much of it, and as it is with most anthologies, I won’t finish it all at once; but I look forward to slowly picking its bones clean. 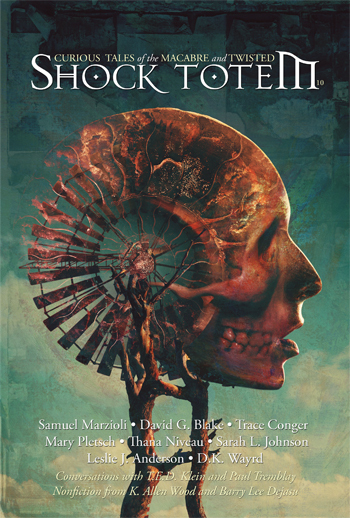 The first story in Dark Faith is “Ghosts of New York,” by Jennifer Pelland. I will sing praise for this woman until its borderline creepy. (I’m harmless, I assure you.) Her anthology Unwelcome Bodies is one of the best I’ve ever read. Sure, some stories didn’t blow me away, but many floored me. Read “The Last Stand of the Elephant Man,” and you’ll understand. “Ghosts of New York” is not equal to that tale, but it is quite good. The story revolves around the World Trade Center tragedy, particularly the ghosts of the jumpers, those victims that chose not to perish in fire or the collapse of either tower. The ghosts are forced to relive the terrifying free fall and final impact over and over again. It’s a heart-wrenching tale, one of horror, tragedy, and discovery. And its beautifully written. Since originally writing this for my blog some months ago, “Ghosts of New York” has been chosen as a Nebula finalist. In celebration of this, Apex has put the story online for free. You can read the haunting tale here. Next up in Dark Faith is Brian Keene’s “I Sing a New Psalm.” My first experience with Keene’s writing was his short story collection Fear of Gravity. I wasn’t blown away. I loved the final story, “The Garden Where My Rain Grows,” it more than lived up to the praise bestowed upon him, but the other stories just didn’t have the same impact with me. Decent, but maybe my expectations were too high. “I Sing a New Psalm,” however, is a very good tale if a bit obvious. The story is told in 44 short bursts and follows a man of uncertain faith through his ultimate acceptance and subsequent denial of God. 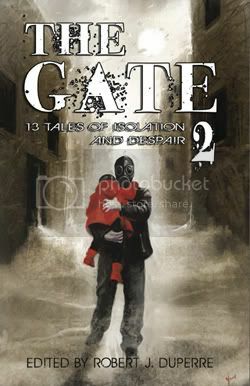 It’s a story that explores the puzzling contradiction of cruelty and selfishness from a so-called loving, omniscient god. Something we’ve all questioned. Keene does it justice. Though I haven’t read it completely, Dark Faith is worth buying. Anything Apex puts out is worth buying. Dig it! Issue #1 contributor Jennifer Pelland is once again a Nebula finalist. This time for her story “Ghosts of New York,” from the Dark Faith anthology. Her first nomination was in 2007, for her story “Captive Girl,” which can be found in the fantastic Unwelcome Bodies. And for those interested, you can read the haunting “Ghosts of New York” by clicking here. It’s well worth it.